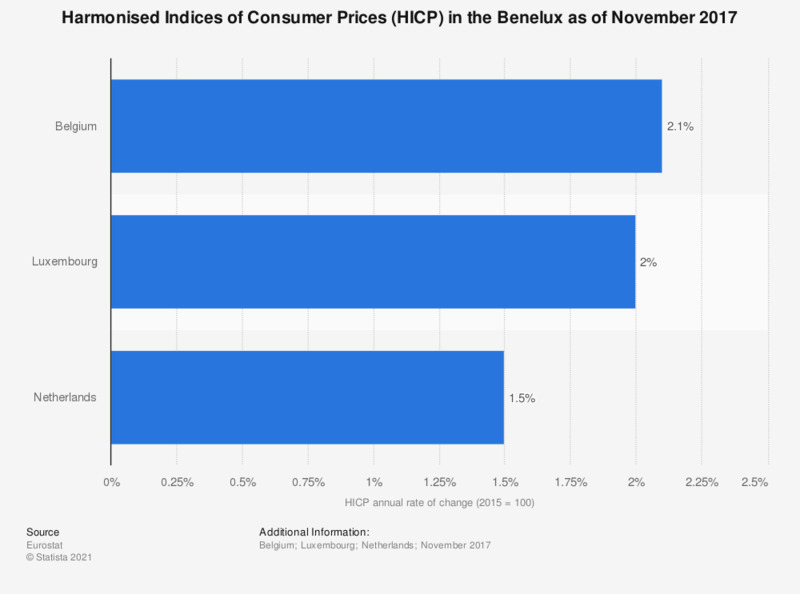 This statistic shows the Harmonised Indices of Consumer Prices (HICP) in the Benelux as of November 2017. Of the Benelux countries, Belgium had the highest inflation rate. The source states that 'Harmonised Indices of Consumer Prices (HICP) give comparable measures of inflation for the countries and country groups for which they are produced. They are economic indicators that measure the change over time of the prices of consumer goods and services acquired by households. In other words, they are a set of consumer price indices (CPI) calculated according to a harmonised approach and a single set of definitions'.